You have read this article random with the title March 2011. You can bookmark this page URL http://jenkrebs.blogspot.com/2011/03/disturbing-findings-about-orange.html. Thanks! You have read this article desktops / downloads with the title March 2011. You can bookmark this page URL http://jenkrebs.blogspot.com/2011/03/whimsical-desktop-wallpapers.html. Thanks! You have read this article resources with the title March 2011. You can bookmark this page URL http://jenkrebs.blogspot.com/2011/03/an-icon-search-engine.html. Thanks! You have read this article tutorials with the title March 2011. You can bookmark this page URL http://jenkrebs.blogspot.com/2011/03/shiny-map-magnets.html. Thanks! Big news! 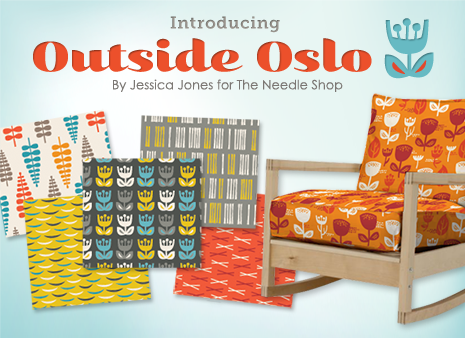 I'm thrilled to announce my latest fabric collection—please meet Outside Oslo, a line of home décor fabrics in two colorways. This batch is brought to you by The Needle Shop, Chicago's delicious little fabric store and sewing school. Look for Outside Oslo in stores in May. If you're a shop or manufacturer interested in wholesale purchasing, head over to The Needle Shop's page for information on ordering. 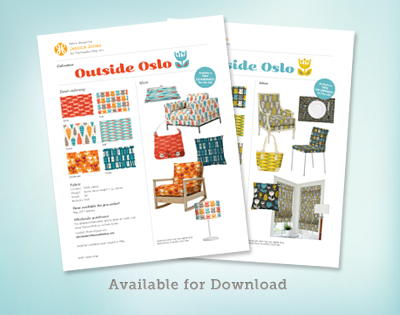 While you're there, you can grab a PDF that shows all the prints, along with lots of ideas for fun things to make. Now, allow me introduce the cast of characters. I'm sure it's no surprise there are some orangey guys in here. Stay tuned for an update when the collection is available to purchase retail. Hope you like it! And now I'm signing off for the week; I'm traveling and will meet you back here on Monday. Update: The collection is now available online here. You have read this article design work / fabric with the title March 2011. You can bookmark this page URL http://jenkrebs.blogspot.com/2011/03/say-hello-to-my-newest-fabric.html. Thanks! While searching around the internet, I bumped into Psykopaint, a website that lets you upload and paint over your photos. It's designed for people with "no skills" and who are "too lazy to study for several years." Ha! Choose from dozens of effects, plus brushes that let you paint in the style of famous masters. If you like what you've made, have it printed on a canvas. Here's a test where I painted on the right half of a photo I uploaded. If you find yourself bored silly someday, give it a try. You have read this article time-wasters with the title March 2011. You can bookmark this page URL http://jenkrebs.blogspot.com/2011/03/create-paintings-online.html. Thanks! 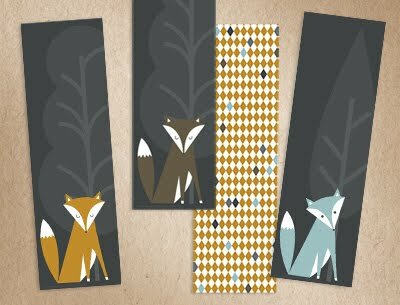 For your book marking pleasure, Sharon Rowan has made a set of printable foxes. 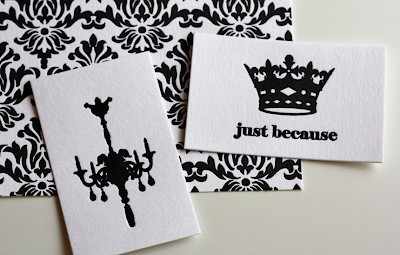 You can even get all fancy and print the diamond pattern on the back sides. Grab this little freebie right here! You have read this article downloads / printable with the title March 2011. You can bookmark this page URL http://jenkrebs.blogspot.com/2011/03/printable-fox-bookmarks.html. Thanks! I try to keep loose Pantone chips in an envelope for future projects, but these nice colors escaped and attached themselves to my file cabinet. 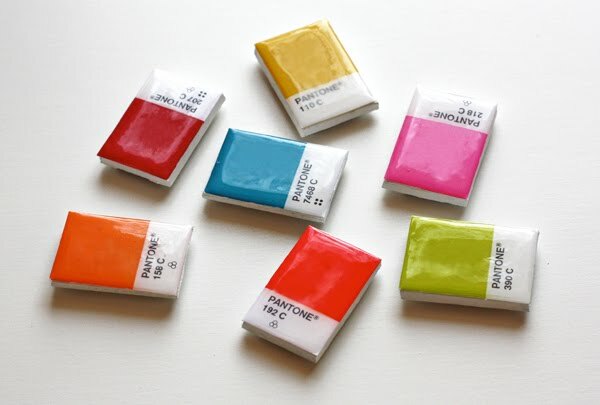 If you happen to own a Pantone chip book or can beg a few chips from someone you know, here's how to whip up some little candy-like magnets. 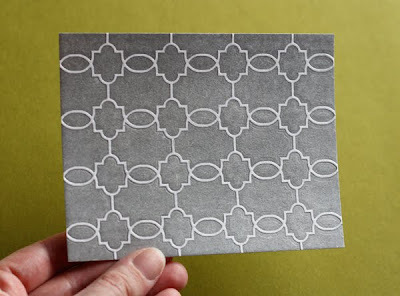 Cut small pieces of bookboard or other thick cardboard with an X-acto knife. (Bookboard is likely available at your local art store or PaperSource.) 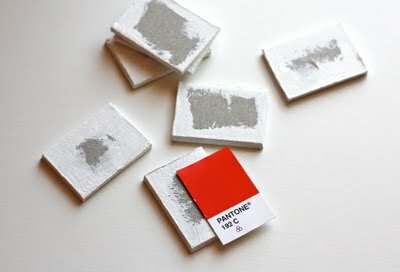 Make the pieces exactly the size of the Pantone chips. 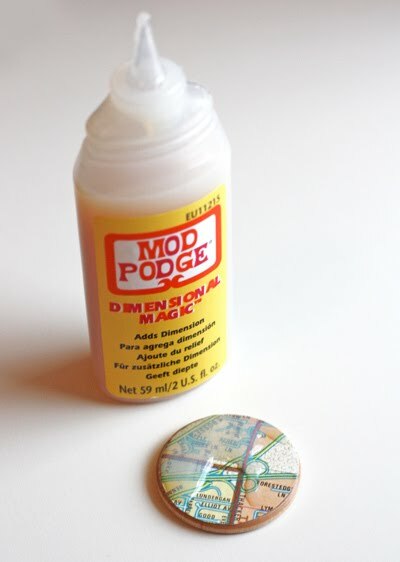 Then paint the edges white; I used acrylic paint for this. Attach the chip to the cardboard. I tried using wet glue, but it made the chip curl. So instead I covered the back of each chip with double-stick tape which worked great. Then cover the face of the chip with paper glaze. It dries with a clear, raised glass-like surface. 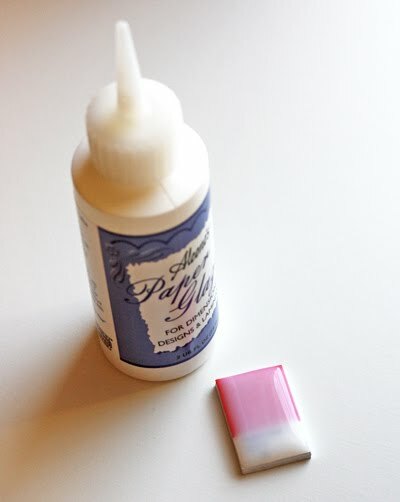 There are a few products on the market; I used Aleene's Paper Glaze. Let it dry overnight. Finally, attach a magnet to the back. 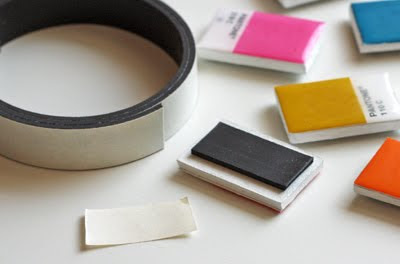 I used a roll of self-adhesive magnet material, but you could use something stronger, or cut up those promotional magnets you get sometimes from companies. You have read this article tutorials with the title March 2011. 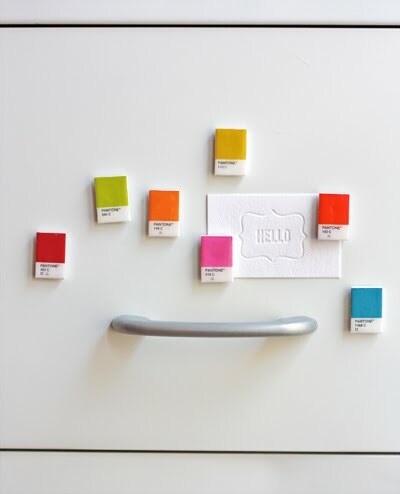 You can bookmark this page URL http://jenkrebs.blogspot.com/2011/03/diy-pantone-chip-magnets.html. Thanks! 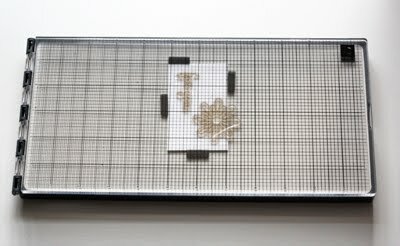 I tried making these little paper boxes shaped like candies, designed by Makato Yamaguchi. They're a project in a Toyo origami kit for boxes shaped like various sweets. 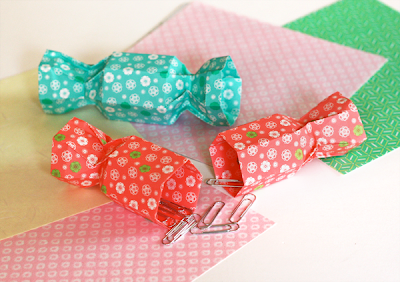 Each candy half is one sheet of folded paper; one end fits inside the other to form a container. 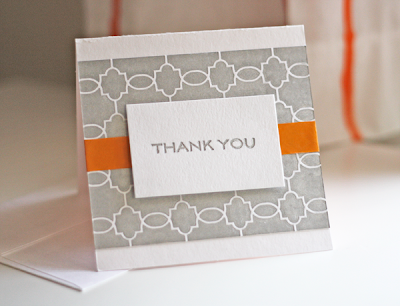 You can watch Heather's nice video tutorial right here on YouTube. Collapsing the candy ends is tricky, but I'm improving with practice! You have read this article origami / paper / tutorials with the title March 2011. 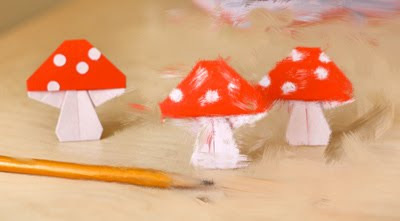 You can bookmark this page URL http://jenkrebs.blogspot.com/2011/03/make-origami-boxes-shaped-like-candies.html. Thanks! I just came across Lost and Taken's texture gallery of free, high resolution images for use on personal and commercial projects. What a great resource! Choose from torn paper, book covers and end papers, cardboard, watercolors, scratches, clouds, and more. You have read this article downloads / graphic design / resources with the title March 2011. 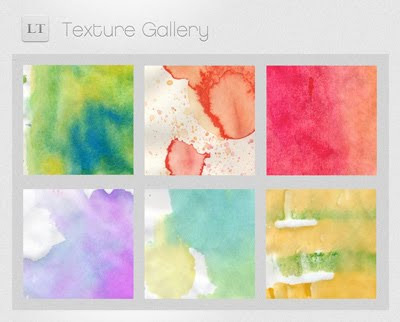 You can bookmark this page URL http://jenkrebs.blogspot.com/2011/03/free-high-res-textures.html. Thanks! 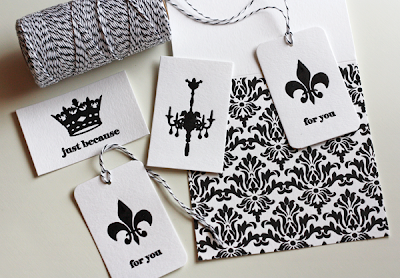 In the nick of time for St. Patrick's Day, Rachel at Benign Objects has whipped up these festive printable labels. Stick them on bottles of ale or root beer, and you're golden. You have read this article downloads / printable with the title March 2011. 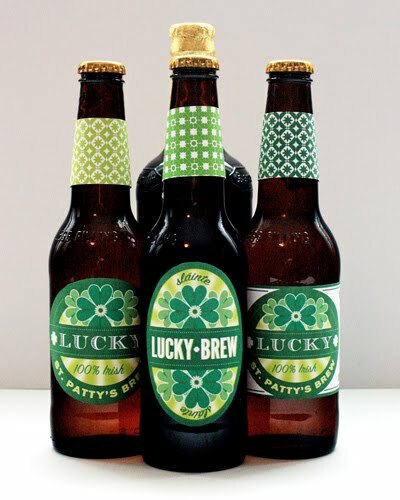 You can bookmark this page URL http://jenkrebs.blogspot.com/2011/03/st-patrick-day-bottle-labels.html. Thanks! 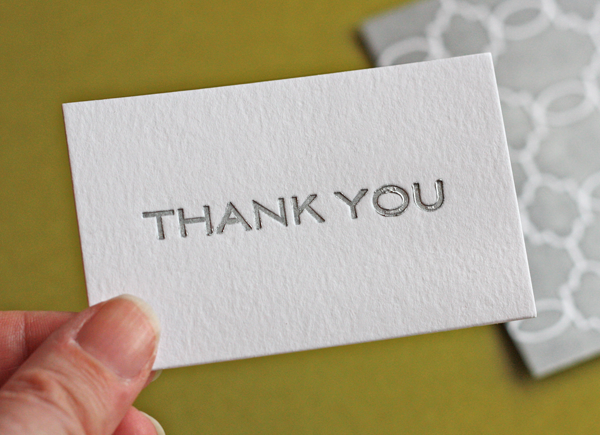 Well, folks, I got back on the proverbial horse and tried the L Letterpress again (see yesterday's post here). And a happy customer service report: the company is going to send over a replacement set of the basic plates that came with the machine. Excellent. Here are my results from today's test. These are all the prints I did; there aren't 50 messed-up ones I'm not showing you. Not bad, right? 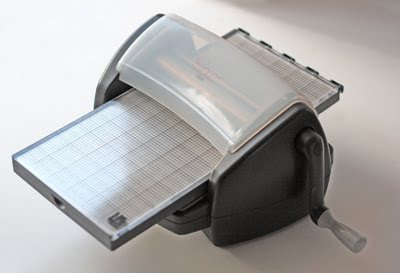 I avoided the plates that looked curved or warped, which had made it hard to get the roller into some of the low spots without getting too much ink on the higher spots. The plates I tried this time from the Damask set were all flat, which made inking them easier. And I'm pleased to report that the black and purple inks dried quickly. 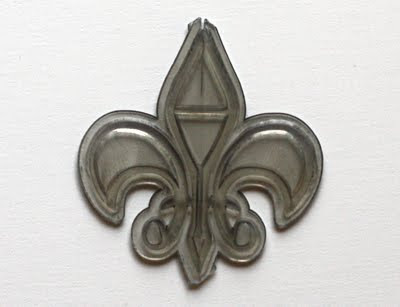 The only little mishap was that after running the fleur-de-lis through the machine once, I noticed it developed a crack at the top. Maybe the blind monkeys meddled with it when my back was turned? The crack didn't seem to affect the second print, though. The patterned print was my favorite—it came out flawless both times. Click any of the photos of prints to see them larger. I uploaded an extra-large version of this last photo so you can see the printing more clearly. 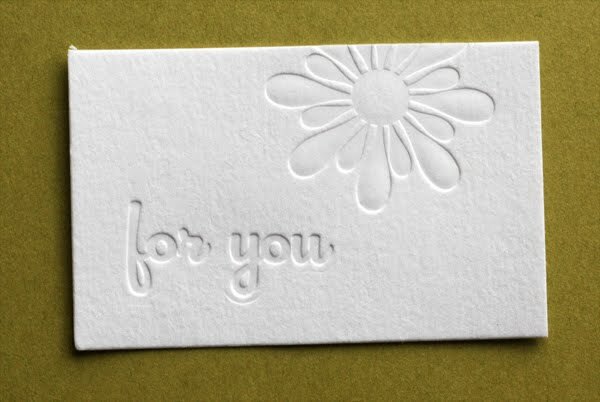 Here's good news for those of you interested in getting your own Epic Letterpress and Die Cut machine: from now until March 22nd, enter the promo code BLOGORANGE to get 20% off purchases at lifestylecrafts.com. You have read this article with the title March 2011. 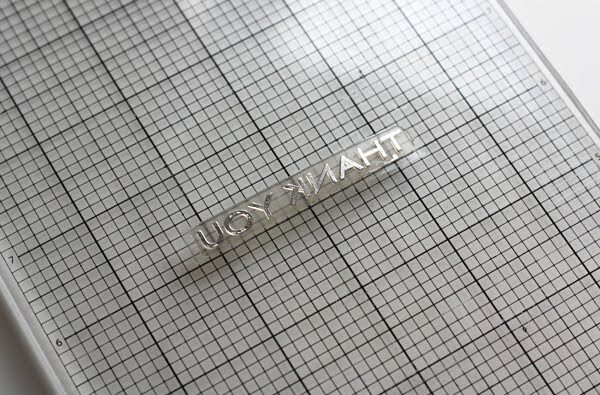 You can bookmark this page URL http://jenkrebs.blogspot.com/2011/03/epic-letterpress-machine-part-two.html. Thanks! The folks at Lifestyle Crafts recently sent over a complimentary Epic Letterpress and Die Cut machine to try out and review. I received the Epic Combo Kit, plus a few different sets of plates, extra ink, paper, and cleaning cloths. I was eager to see what kind of results the letterpress would yield, since I go rather bonkers for deliciously textured designs pressed into thick paper. I opened up the packages, including the plastic printing plates that came with the combo set. "That looks like trouble," I thought when I saw how warped they were. It's been over ten years since I've applied ink to anything with a brayer—I did a bit of block printing in college—but it seemed like rolling ink onto a bent piece of plastic would be challenging. I selected a couple plates and secured them to the hinged lid with the provided adhesive stickers. Then I positioned a small card on the bottom board and added the foam placement guides so I could print multiples. Here's the result. Pretty nifty! Kind of wish I couldn't see the bottom edge of the plate under that "y," but I can deal. Let's get out the silver ink. 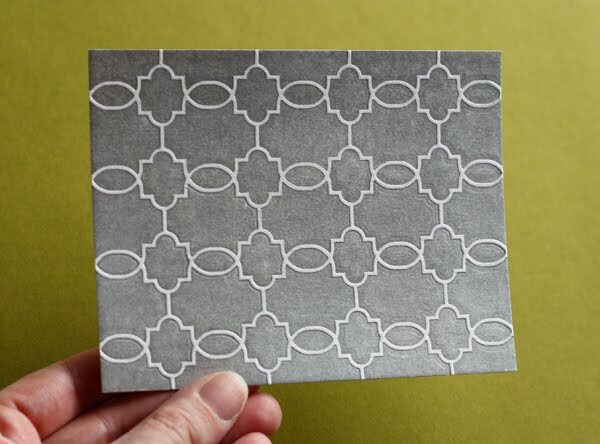 Next I tried an all-over pattern on a bigger piece of paper stock that came with the machine. The print is much better because this plate was flat, but holy smokes. That paper must be much thicker than the smaller cards, because it used every bit of arm strength I had to crank it through. Granted, my arm muscles are virtually nonexistent, but I didn't expect it to be that hard. I had to crank in quarter turn increments while struggling to hold down the machine with the other hand, and I was constantly afraid I'd break off the handle. But all was well! The print looks good. Let's try another one. This "thank you" plate was warped too, but I managed to get a seemingly even layer of ink on it. Lovely! But as I lowered the clear hinged cover, the plate fell off because the adhesive wasn't making contact in enough areas to keep it stuck to the lid. I reattached it and held it on with my fingernails while I closed the lid. The result was a pretty good print. After looking at the print more closely and cleaning off the plate, I see the "o" and "u" have little divots in the plastic, causing tiny flaws in the print. If you're not a crazy perfectionist like me, this probably won't bother you. The photo at the top of this post shows the card I put together with a couple of the prints and some orange masking tape. It's respectable. But as for me, I think I'd rather leave the letterpressing to the pros since the struggle outweighed the fun. 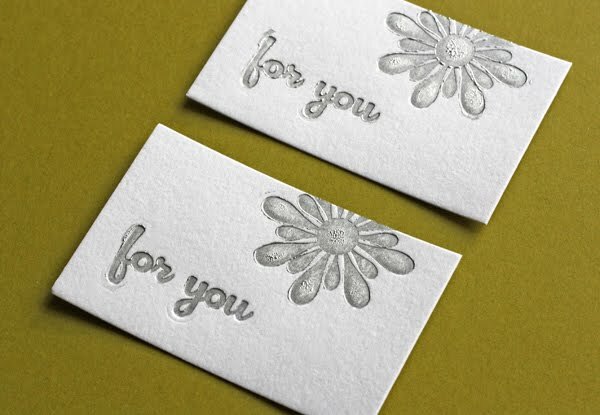 For another review and some excellent tips on getting the most out of the L Letterpress (including using better printing plates), see this post by Boxcar Press, a commercial letterpress shop. P.S. 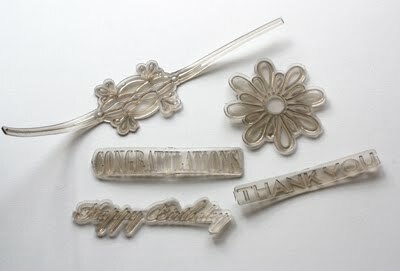 A note about silver ink: 24 hours after making these prints, the ink wasn't completely dry and came off on my fingers. 48 hours later later it's improved, but I can still rub off silver ink from the patterned card. I suspect this is related to the particular pigments used in silver inks and paints. 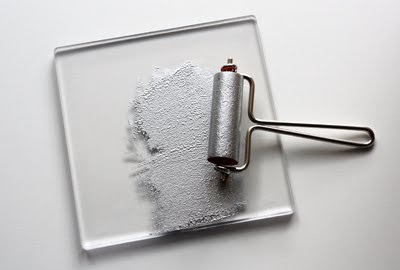 See this post about another non-drying silver paint experiment. I'm reasonably sure other non-metallic inks won't have this problem, however. P.P.S. I gave it another go! 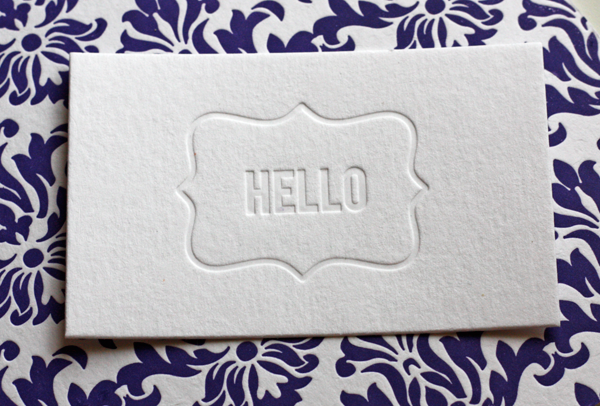 See the results of my next letterpressing attempt here. You have read this article resources with the title March 2011. You can bookmark this page URL http://jenkrebs.blogspot.com/2011/03/epic-letterpress-machine-reviewed.html. Thanks! 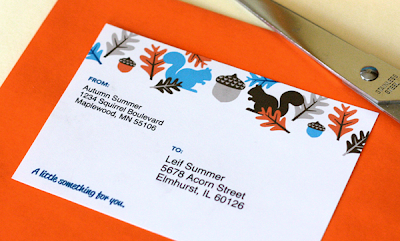 I've made up some free mailing labels featuring our friends the squirrels. 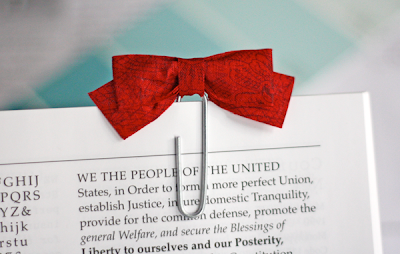 (You might remember them from this ribbon.) To get the labels, click this link to the PDF file. It might take a second for the file to download, and it might look peculiar in your browser window, but don't be alarmed. Save it to your computer, then open those squirrels in Adobe Reader (free right here if you need it). Type in your addresses and print away. The labels also use a bit of Hannes von Döhren's font, Reklame Script, which I mentioned on Wednesday. Apparently enough of you downloaded the free demo version that you caught the attention of Mr. von Döhren, who is now offering an excellent deal just for How About Orange readers. From now through Sunday, April 10, enter the discount code HOWABOUTORANGE at checkout to get the entire Reklame Script family at 50% off—that's all four weights for $49.50 instead of $99. Nice! You have read this article downloads / fonts / printable with the title March 2011. 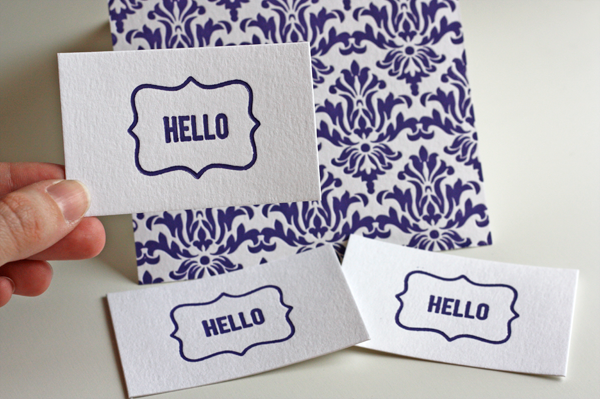 You can bookmark this page URL http://jenkrebs.blogspot.com/2011/03/free-printable-labels-and-handsome-font.html. Thanks! Speaking of fonts, if you'd like to take a crack at another identify-the-font game, try this one at I Love Typography. I did rather badly. FF Mt? Sounds like something a teenager would text, not a font. I need to get out more. IMHO. You have read this article fonts / quizzes with the title March 2011. You can bookmark this page URL http://jenkrebs.blogspot.com/2011/03/quiz-name-font.html. Thanks! Get the demo version of Hannes von Döhren's Reklame Script, a font resembling 1940s hand lettering, for zero dollars. What's demo about it, you ask? It doesn't have punctuation characters, unlike the full version. But if you'd like to try it out on headlines (or can cheat and make your own period or comma), it's fun to play with. Get it here at MyFonts.com, or purchase the regular version for just $30. You have read this article downloads / fonts with the title March 2011. You can bookmark this page URL http://jenkrebs.blogspot.com/2011/03/free-font-reklame-script.html. Thanks! 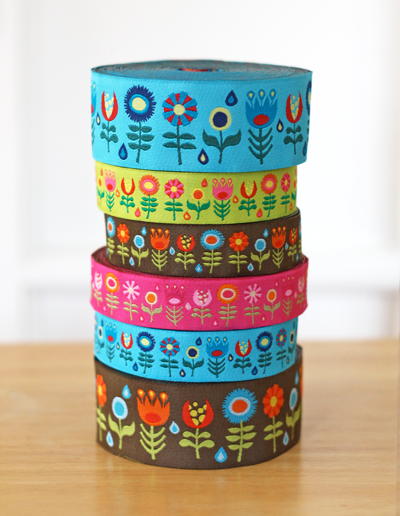 I just received samples of the retro flower jacquard ribbon I designed for J Caroline. It's like a little pile of spring on my table. These are available by the yard at Fat Quarter Shop, or get 25-yard rolls at J Caroline Creative. You have read this article design work with the title March 2011. 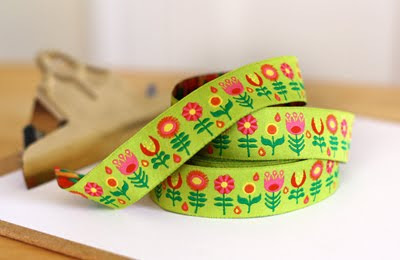 You can bookmark this page URL http://jenkrebs.blogspot.com/2011/03/new-floral-jacquard-ribbon.html. Thanks! I had a couple little scraps left over from stiffened fabric projects, and after fiddling with them, I noticed they'd easily make tiny bows. Which I attached to paper clips because... I don't know why. These could work as bookmarks, on wedding invitations, Valentines, etc. 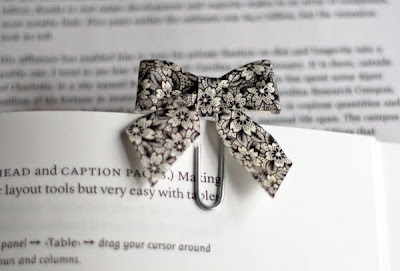 Or attach the bows to hair clips for little girls or pencils for bridal shower games. 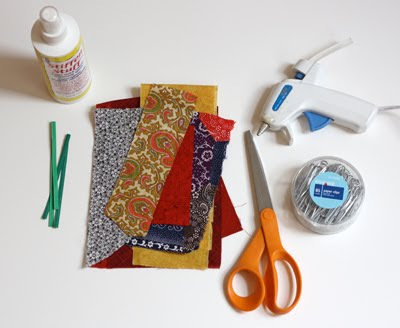 I used fabric scraps, stiffener, large paper clips, a scissors, an iron, twist ties (or wire), and a hot glue gun. Center band: 1.5" x 0.25"
Form the longest strip into a loop, overlapping the ends generously. Then pinch down at the center to form a bow shape. The nifty thing about the stiffened fabric is that the edges won't fray, and it will keep its shape as you bend it around. 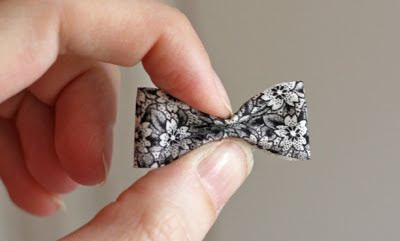 If you don't like the bow you made, iron the fabric flat and start over. Pinch the "tail" strip in the center the same way. Yank it around some and show it who's boss. Then attach the bow to the tails using a piece of wire. I cut the green paper edges off twist ties I'd once pilfered from the grocery store. Worked great. Twist the wire tightly to secure it and clip off the excess. Use the tiny remaining strip of fabric to attach the bow to the paper clip. Trim it as needed and wrap it around the bow and clip, and securing it with a bit of hot glue. Trim the tails to the length you like. You have read this article fabric / tutorials with the title March 2011. 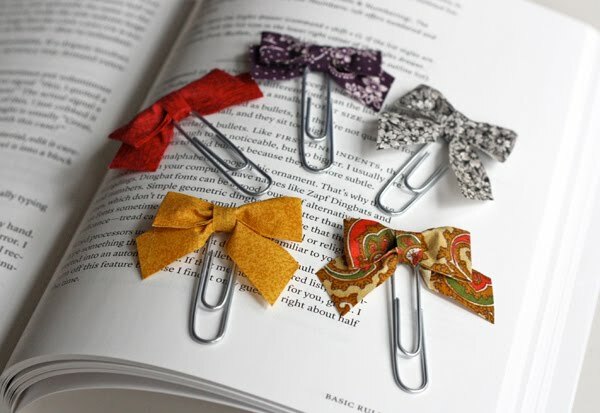 You can bookmark this page URL http://jenkrebs.blogspot.com/2011/03/bow-tie-paper-clips-from-fabric-scraps.html. Thanks! Impulse purchase alert! 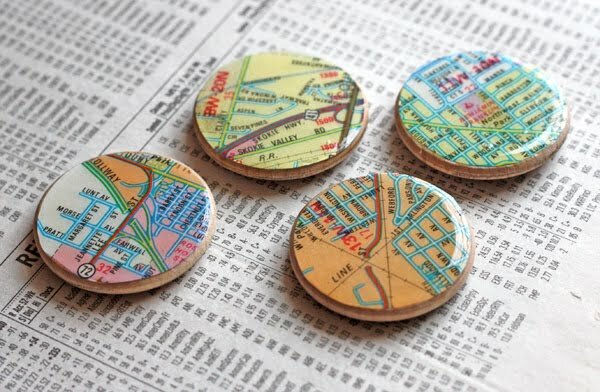 I have a bit of a coaster fetish—not because I care about my furniture, but because I adore functional items that somebody bothered to design well. 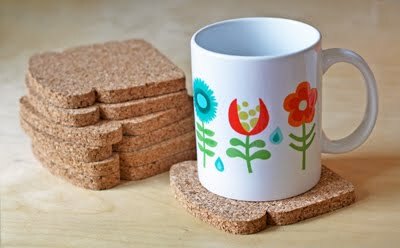 So of course I couldn't resist these funny cork coasters shaped like toast. They even came in a plastic bag secured with a twist tie, just like a real loaf of bread. Available here at the MoMA store. You have read this article favorite things with the title March 2011. You can bookmark this page URL http://jenkrebs.blogspot.com/2011/03/the-best-thing-since-sliced-bread.html. Thanks! 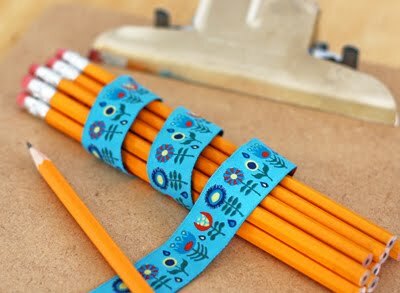 Here's a round up of DIY tutorials for handmade things, because looking at them is almost as satisfying as making them. 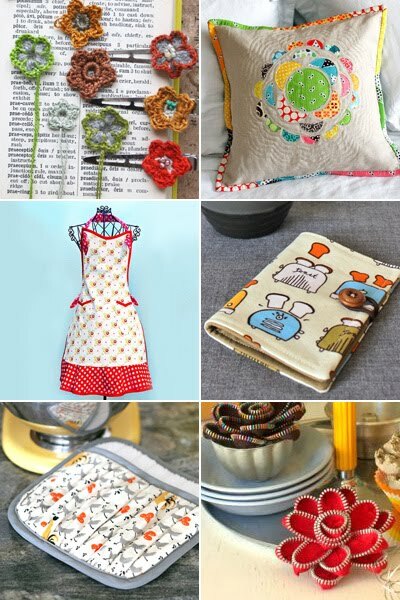 If you can sew, that is. Non-crafty types might find "just looking" plenty satisfying, as attempting to reproduce them might cause hair loss and cursing. Been there. Done that. You have read this article sewing / tutorials with the title March 2011. You can bookmark this page URL http://jenkrebs.blogspot.com/2011/03/nice-things-to-make-by-hand.html. Thanks!